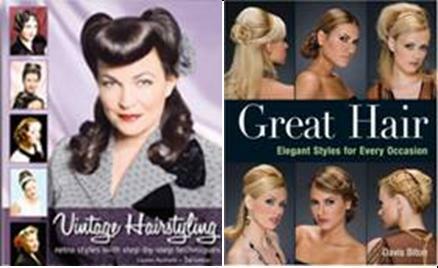 For Makeup Artists who had just graduated and feels they need more knowledge on hairstyling, here are 2 books that we recommend. There are hundreds of gorgeous hairstyles with step by step technique. Both teach you right from the basics. To get the right balance and for a start, we selected 1 book that focuses on oldies styles and another that focuses on current styles. Vintage Hairstyling features oldies styles – that finger press wave and elegant styles from 1930s-1960s.